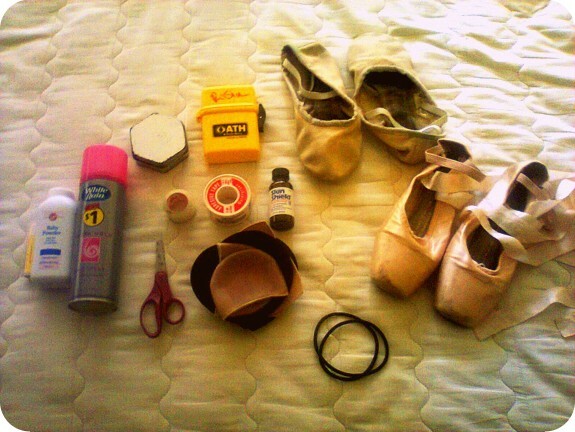 This week’s What’s in Your Purse Series purse is from Marta in Poland, who gave us a peek at what’s in her dance bag. Thank you Marta! 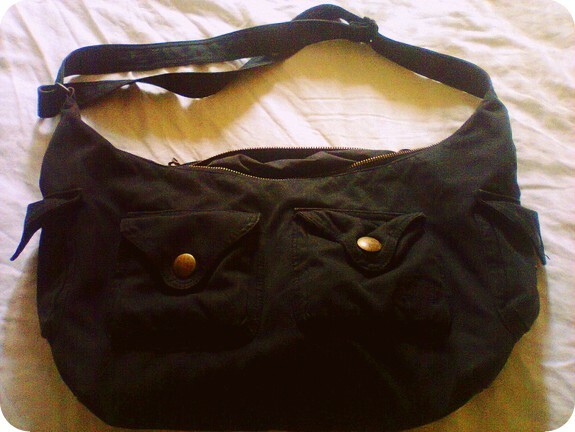 This is a simple messenger bag from GAP and I use it to go to my ballet classes. Inside you can find a dancer’s essentials. -Yellow box with Rosin powder in it, it stops the shoe from slipping. -Little metal box with hairpins, bobby pins, hair nets, and hair bands in it. Tape and more tape for my toes. Liquid bandaje, for open blisters. It STINGS like hell. Toe pads and any other type of pads that could protect my feet. Scissors…I don’t really know whey are there. Hair spray, a dancer’s must. Baby powder, I put some in my toe pads after every class so they don’t get smelly. Lip balm…I am a lip balm freak and I need to have lip balm with me ALWAYS. Brava, Marta! That’s one pretty tidy bag for a ballerina.